Holme Fell in Autumn is a wonderful location for Landscape Photographers to visit. This video will share some of the magic,starting with a visit to the location. After visitng the location to shoot the image, you see the editing of the photograph to produce a finished, natural scene. The editing was achieved using Lightroom to convert the RAW file. Nik Viveza was then used to apply additional enhancements to the tones and colour. This is the third video in the series Shooting Autumn in the Lakes. The image was captured using a Fuji XT2 camera with a Fuji 16-55mm lens. A Lee 100mm filter system was attached to the lens and was fitted with a 0.3 (one stop) Neutral Density filter. Neutral Density filters are used to reduce the contrast between a bright sky and the darker foreground, producing a more pleasing exposure. In addition, a 105mm polarizing filter was used to help saturate the colours. 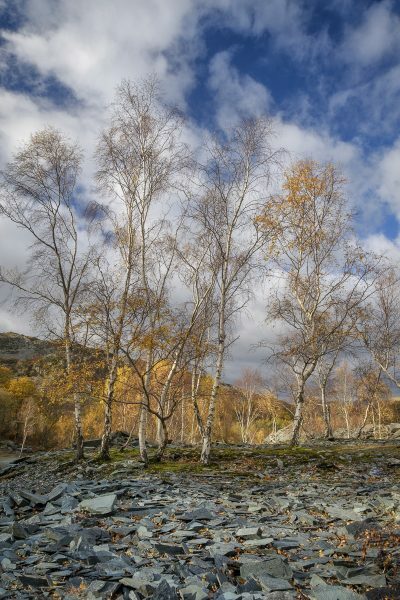 Silver Birch trees at Holme Fell in Autumn. In terms of processing, Lightroom was used to fix the corners of the image where the polarizing filter was causing some vignetting. A small concrete block and dead tree branch were removed using the Lightroom Cloning and Healing brushes. Once the basic conversion from RAW file was complete the image was further enhanced with Viveza. The overall approach was to retain a natural and believable feel to the scene. If you like the video, why not subscribe to my YouTube channel. Use the link below to visit my channel and use the red subscribe button in the upper right of the bottom right of the banner.